Located exactly on the spot where North and South Pindos get separated and surrounded by one of the most important National Parks in Greece, Metsovo is a small, traditional mountainous town of 3.200 residents, built at 1.200m altitude, in an impressive green landscape. Its name probably originates either from the Slavic words “metska” (=bear) and “ovo” (=village) or from the combination of two Greek words “meso” (= in the middle) and “vouni” (= mountain) because of its geographical location. 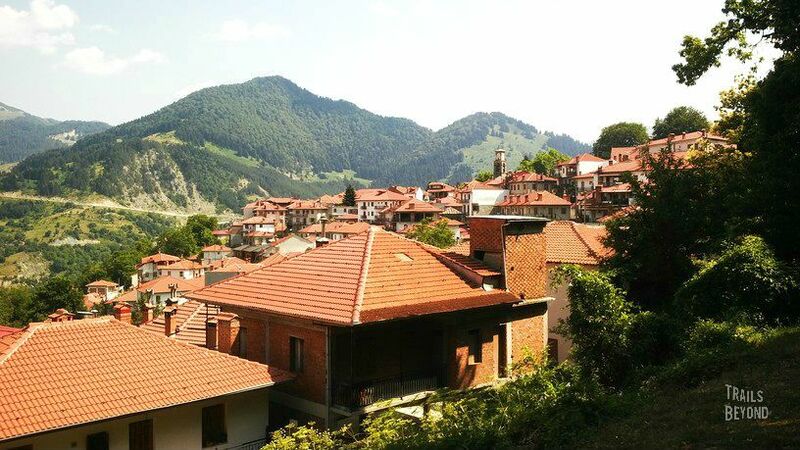 Despite its rapid tourist growth in the last decades, Metsovo has managed to maintain its traditional character and combines in a harmonious way the past with the present. It is an ideal place not only for relaxation or adventure sports, but also for its cultural development, rich history and traditional gastronomy. Because of its strategic location, on the crossroads between Epirus and Thessaly, the town of Metsovo experienced an impressive socioeconomic growth, particularly during the period of the Ottoman rule. The residents were safeguarding the local mountain passages and servicing the travelers stopping by, while crossing the mountains. For this reason, they were relieved from the obligation to pay high taxes to the Ottoman Empire, resulting in a higher excess product of the local crop production. In addition, the residents of Metsovo developed a significant merchant as peddlers and became very active in commercial trade both in the Ottoman Empire and in the wider area of Europe. The socioeconomic growth led them in wanting to upgrade their education level and this is reflected in the establishment of a school in the beginning of the 18th century. Moreover, being the birthplace of some of the most important National Benefactors, such as Georgios Averof, Nikolaos Stournaras and Michael Tositsas, Metsovo experienced a remarkable cultural development, which you can notice during your visit in the town. Metsovo offers a perfect combination of adventure, nature, culture and history. You can walk around the city, admire its museums, the mansions made of stone, the monasteries, the twenty traditional founts and the paved streets and enjoy your food or coffee in one of the beautiful restaurants and cafes in the central square. Finally, there are several areas around Metsovo worth visiting. You can visit Anthochori, with its open air museum of water-driven movement, Chrisovitsa with Panagia Monastery and its famous potatoes, the villages Anilio and Votonosi, as well as the traditional village of Milia at the borders of the National forest.